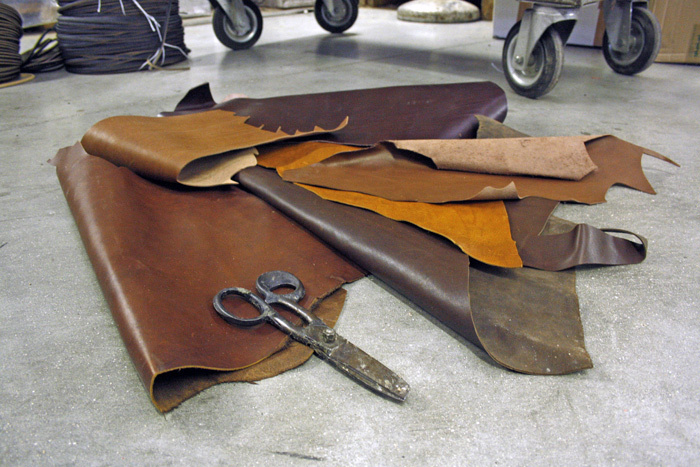 When you consider everything that goes into the making of leather, it’s almost criminal to think that whole, left over pieces of it are something simply tossed into the garbage can. That’s why Hey Team, a design collective out of Italy, decided to take those scraps and turn them into something useful and luxurious – the Patch pillow! Each one is made from reclaimed pieces of leather from the shoe industry, resulting in a stylish recycled home accessory. When you consider everything that goes into the making of leather, it's almost criminal to think that whole, left over pieces of it are something simply tossed into the garbage can. That's why Hey Team, a design collective out of Italy, decided to take those scraps and turn them into something useful and luxurious - the Patch pillow! Each one is made from reclaimed pieces of leather from the shoe industry, resulting in a stylish recycled home accessory.